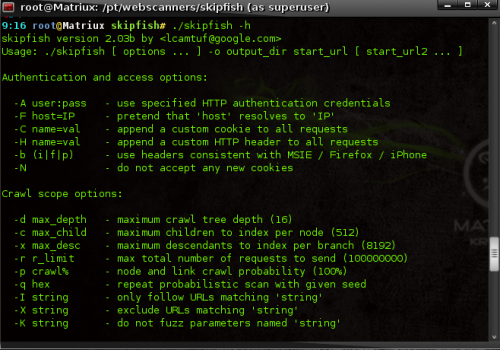 Skipfish fast and easy to implement can perform a robust scan of any website providing a lot of security tests, like php injection, XSS, format string vulnerabilities, overflow vulnerabilities, file inclusions and lot more categorized into high risk, medium risk and low risk issues. Skipfish also provides summary overviews of document types and issue types found; and an interactive sitemap, with nodes discovered through brute-force denoted in a distinctive way. (to put it simple copy a file from dictionaries/ to the directory of skipfish into skipfish.wl). 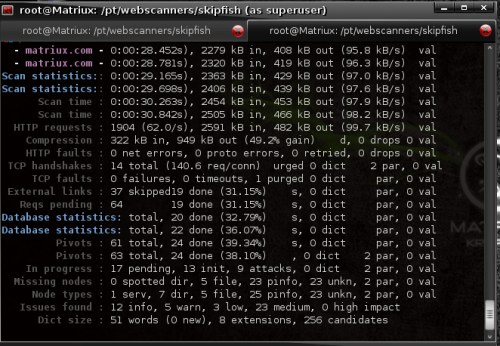 Start skipfish from Arsenal or move to directory /pt/webscanners/skipfish/ and run ./skipfish –h for help. path with other desired locations you want. After the successful scan a report is generated and stored in the output directory you specified, open the index.html in a browser to view the report generated. Following is how a sample report looks like. There are also other options with HTTP cookies, authentication which you can find in the skipfish doc or the README file present in the installation directory. 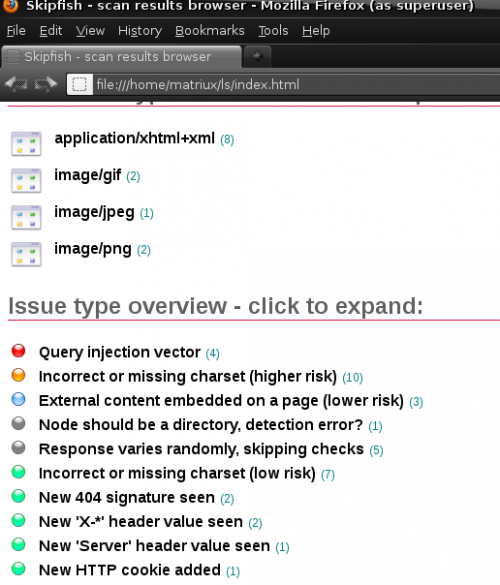 Overall skipfish is a very light tool for web scanning and security testing, which provides a lot of features and scan options in a faster way.